It's the ultimate treasure for any pirate! 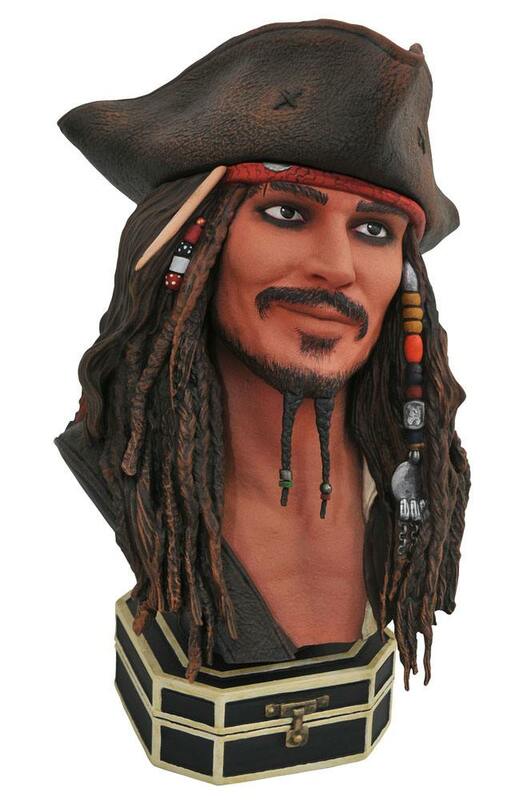 Those who love the Pirates of the Caribbean films will be sure to parlay for this Legends in 3D bust depicting scallywag Captain Jack Sparrow. Featuring the likeness of actor Johnny Depp. this approximately 25 cm resin sculpture is limited to only 1.000 pieces. and comes packaged in a hand-numbered. full-color box with a certificate of authenticity. Designed by Joe Allard. sculpted by Rocco Tartamella.